Elder had learned about the book business while working for William Doxey at his bookstore in the Palace Hotel on Market Street. But while photos of Doxey’s shop show nothing but books, Elder’s stores included a healthy dose of objets d’art: paintings, prints, pottery, metalwork. This was the influence of Morgan Shepard, Elder’s partner from 1898 until 1903. Shepard was both an author and an artist, and he decorated the original 238 Post store (1898-1903). 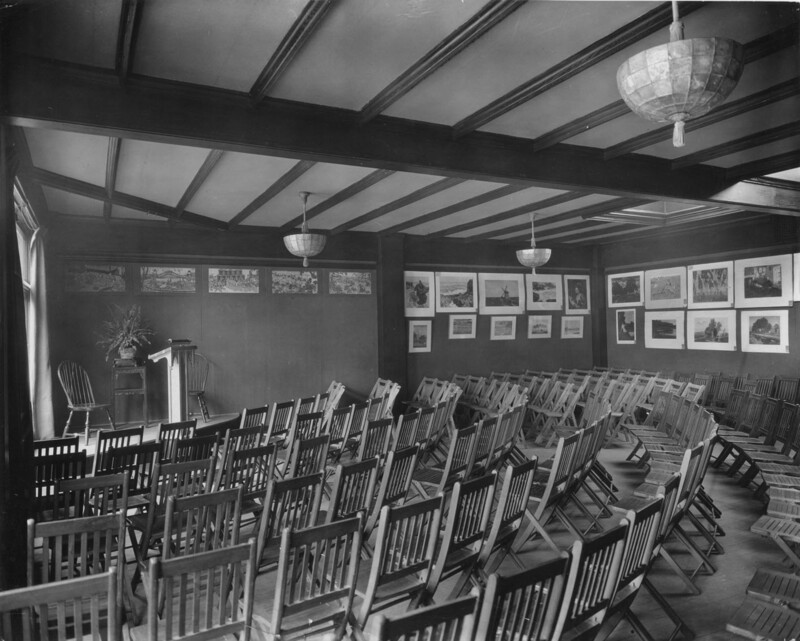 Art objects were for sale from the beginning, but it wasn’t until 1909 that Elder had a lecture hall/exhibition space within the bookstore. 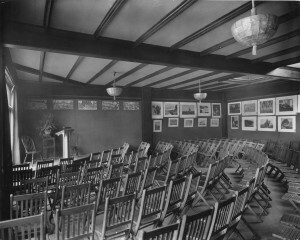 Both the 239 Grant store (1909-1921) and the 239 Post store (1921-1948) had gallery rooms. The photo at right shows the Post St gallery adorned with Asian prints. How many exhibitions did Elder host? Very many. Years ago I started making a list of all the artists’ shows at the Paul Elder Gallery, but I gave up when the count grew past fifty. It seems that the gallery was never empty for long.